Our self service Electrical Kiosk are designed as a complete end-to-end solution. 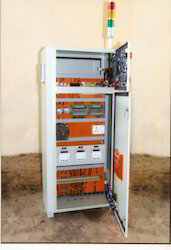 We supply Control Panel Board at very effective prices. It has lots of panel switches. These control panels are connected with starters and switches. This product has some logic controllers, which are widely used for automation industries. This machine has lots of quality parameters for proper working. It contains quality of ABB gears, which helps in power supply. Its capacitor provides series reactors that minimize the current. 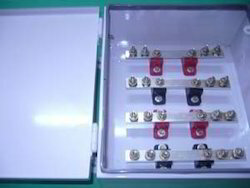 We specialize in optimum quality of control boxes and one of our most demanded Bus Bar Box. These panels are engineered using hi-tech machinery and high quality raw materials. Looking for Control Panel Board ?